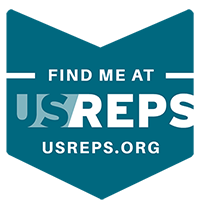 Personal Trainer in Sacramento with an emphasis on the training of both the physical and mental aspects of the human body. Want to get in shape before your daughter’s wedding? Want to lose weight before your class reunion? Want to fit back into that old suit you love? 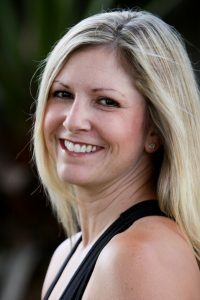 Pam Markee, a Personal Trainer serving Sacramento, Carmichael, Roseville, and Fair Oaks, offers a tailored program of accountability, motivation, nutrition coaching and injury prevention. We also offer Corporate Wellness Seminars, Community Health Education Classes, Pilates, Nutrition Classes and Post-Rehabilitation Training. Whether you are a seasoned athlete working toward qualifying for a marathon or new to exercise, Markee Personal Training in Sacramento will help you reach your goal. Pam Markee brings 20 years of experience to the Sacramento area in many different facets of exercise. Her philosophy…”Shoot for the Moon… even if you miss, you will still be amongst the stars”…is evident in every class – body sculpting, Pilates, Turbo Kick or group exercise. She stresses the importance of pushing limits to create change, which has made her an elite personal trainer in Sacramento . Exercise courses currently offered are: Cardio kickboxing, Pilates, body sculpting, total body conditioning, step aerobics, Turbo Kick, indoor cycling, mat science and perinatal exercise. Markee Personal Training is the premiere personal physical training establishment serving Elk Grove, Roseville and Carmichael California. Also El Dorado Hills, Granite Bay, Folsom, Orangevale, Citrus Heights, Fair Oaks, Rocklin, Elverta and Natomas (Sacramento California area). Markee Personal Training in Sacramento also caters to those athletes interested in body building and body toning. With a body building routine and training program, natural body builders, both female and male are employed using weights with emphasis on form, technique, breathing, safety, stretching and flexibility. The benefits of exercise are well documented, the biggest obstacle to a continuing exercise regiment is accountability. By using a personal coach and a fitness journal, accountability is insured, which improves the odds that you will stick to your exercise program and achieve life changing success. Looking and Feeling Your Best is a Fitness Appointment Away – Get Started Now! Changing lives through exercise, nutrition and education. At age 45, I made a decision to be in better physical shape by the time I turned 50. I knew I didn't get this unhealthy overnight and I was ready to take that first step on my journey to a healthier me physically and emotionally but how? The kindest thing I have ever done for myself was to contact qualified personal trainer in Fair Oaks Pam Markee. © Copyright 2019 Markee Personal Training. All rights reserved.